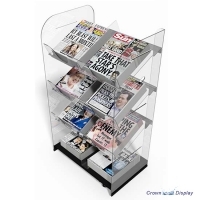 Displaying newspapers is easy with our Triple Acrylic Newspaper Display Stand. 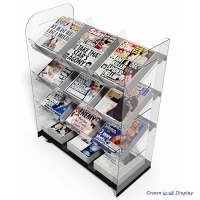 This is a fully mobile unit, holding up to 12 titles and is manufactured using high impact acrylic. It measures 1200mm high, 950mm wide with an overall depth of 465mm. Using this newspaper display you can create a simple, effective and attractive way for your customer to purchase their daily and weekend tabloids. 1200mm high x 950mm wide x 465mm deep. 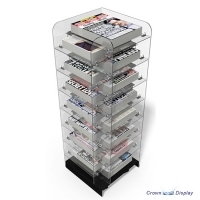 This item is delivered flat packed for self assembly and is available for next working day delivery.